For those of you who prefer video, here you go! Due to a day filled with technical challenges, I had to film in a hurry, on my way back to the Apple Store, where I am now and thinking of just taking up residence! 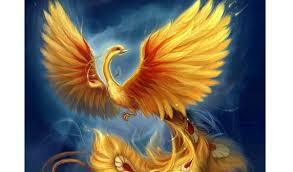 The Phoenix is a magical bird that periodically immolates and then rises from the ashes to begin again. This New Moon brings in the Chinese New Year. It is the Year of the Fire Rooster which is also referred to as the Year of the Phoenix. I have had several Phoenix-like experiences in my life (here is the most recent big one), so I have a special place in my heart for this bird. I know many of us are feeling like either our personal or collective worlds (or both) are imploding. There seem to be dragons right and left, torching everything in sight. 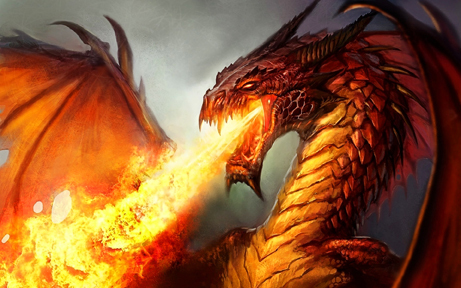 I believe we need the dragons (what is good about evil?). Their dance with the Phoenix is an essential one that we all participate in at one time or another -- and especially right now. My dance with these creatures also involves an unlikely third partner... the Groundhog! On Groundhog Day 2014, I did a very quiet launch of Sparks & Leaps, hoping no one would notice, because I wasn't anywhere near ready. On Groundhog Day 2015, I tried a new version. I still was not ready. Last year, on Groundhog Day 2016, I offered yet another version. But as hard as I tried to force myself; I was still was not ready. I now understand that all of that forcing was a big part of what did not work. In the movie Groundhog Day, Bill Murray tries over and over and over to get it right over the course of countless Groundhog Days, and he finally succeeds. So here I go with my newest Groundhog Day launch of Sparks & Leaps! And by the way, the movie, Groundhog Day is an excellent example of The Hero's Journey. The Hero/ine's Journey is part of my current offering, so that is perfect. This time, I am finally ready. Not "perfectly" ready, but how many of us ever are? I totally get why I needed a looooong time of transition, living in The Special World of the Hero/ine's Journey. That time in between when an old life has ended, and the new one is still a mystery. We teach what we need to learn. Because I was living it for so long, I was highly motivated to do a TON of research to figure out why I was so stuck and how to move forward. And now I am ready to offer what I have learned in a new way to assist others who are occupying that in between realm. If you or anyone you know is experiencing that "space between stories", in your life or you are just curious about what I am up to now, just reply to this blog post (or if on FB, send me a private message with your email) with the word "curious" and I will send you a description. Wishing you all of the magic of this Holiday (Holy-day) Season. Happy New Year, Happy Groundhog Day, Blessed Imbolc and Candlemas. And don't forget Japanese Bean Day!